Sorry, but Coulter is a right-wing writer who has has 12 best selling books, not a provocateur. She’s a 140 pound bleach blonde writer, not a threat to student safety at all. So if a conservative student group likes her and invites her, they should get the chance to hear her and talk with her. 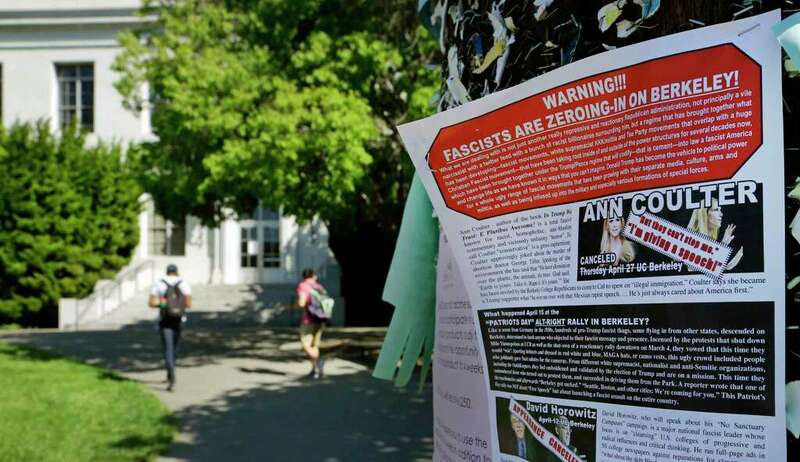 Antifa thinks Coulter is a fascist so they think any means necessary – including violence – is acceptable in denying her a platform. Exact same thing happened with Milo, these speakers are not threatening study safety, it’s an extremist group called Antifa who is instigating and threatening safety. This is a free speech issue, “Hecklers veto”. The hecklers veto, i.e what antifa are doing, is denying conservative and different points of views on campus. Students aren’t getting all points of view, because speakers can’t come and students are terrified to speak their mind.